After unexpectedly closings its doors last week, the Cheshire Country Day School in Southington is closing permanently, according to a letter sent to parents. 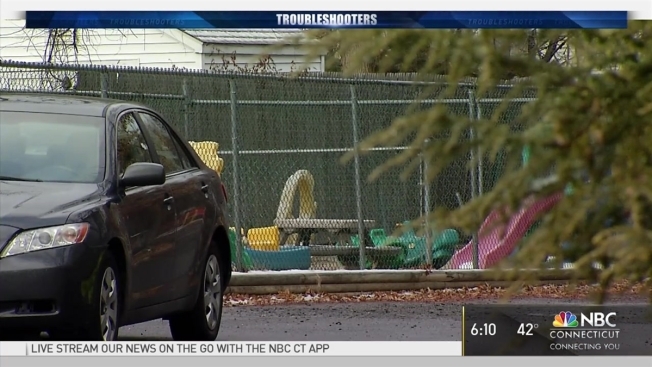 Earlier this week the NBC Connecticut Troubleshooters reported the day care shut down without warning to parents or the Office of Early Childhood. On Friday the school’s administration told parents the facility would be closed for a week due to issues with maintenance and student registration. Day care facilities are required by law to give 30-days’ notice to the OEC as well as parents. In a new letter dated Dec. 6, and signed by “CCDS Administration,” the school announced it would be closing the center permanently. “When we made the decision to close due to health and safety concerns that we felt were serious enough to warrant closing, we anticipated opening again with renewed energy, resources, and support. In lieu of feedback that we have received from parents with regards to their future plans for childcare we decided it would be best to close the center permanently. In anticipation of further parent issues and concerns, we have notified the state of our intentions to close permanently,” the letter read, in part. The letter also stated that anyone who needed to collect belongings from the center should contact the landlor, Marge Lessard, at 843-685-2002. Lessard tells NBC Connecticut the day care owner, Asher Sussman, reached out to her Tuesday and said he was leaving. Lessard says Sussman still owes money but did not say how much. Earlier this week he owned $3,700 a month rent for October and November.